Early in September, Canon officially announced a new flagship camera model almost five years after it released its previous EOS C500 model in 2012. The new EOS C700 Super35 format camera is designed to be a flexible “A” camera for various shooting applications, featuring internal 4K ProRes and XF-AVC recording, capable of recording uncompressed RAW file type of up to 120 frames per second with its optional 4K Codex CDX-3150. 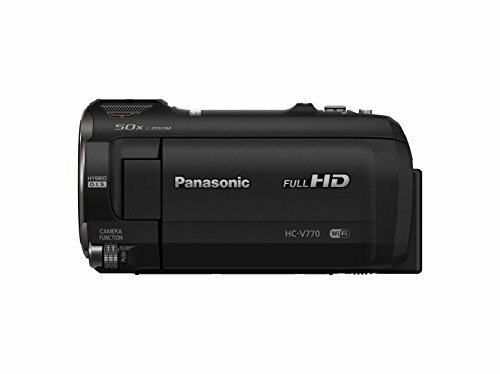 The camera also offers three models for users to choose from, the EOS C700 EF, EOS C700 PL, and EOS C700 GS PL. 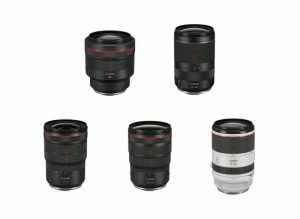 The EF and PL versions offer a pixel resolution of up to 4.5K and a dynamic range of 15 stops and Dual Pixel. The GS PL versions, on the other hand, features only 14 dynamic range stops, a lesser pixel resolution of up to 4.2K, and a Global Shutter. 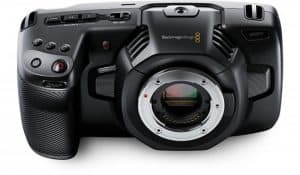 The C700 sports a number of new features, but perhaps its biggest additions and improvements from the C500, as mentioned above, are its XF-AVC and ProRes internal recording, RAW recording, and two new sensor design. The new EOS C700 GS PL is designed with a global shutter sensor that eliminates the jello artifact created by a rolling shutter and the flash band artifact resulting from short light flashes by capturing images simultaneously with the sensor’s pixels, making it ideal for fast-action shooting scenarios such as sports, concerts and other events. This is a lot better than the CMOS sensors offered in the Canon EOS C700 EF and EOS C700 APL that capture images by scanning scenes from top to bottom, and which time delay between scans may result in jello effect. 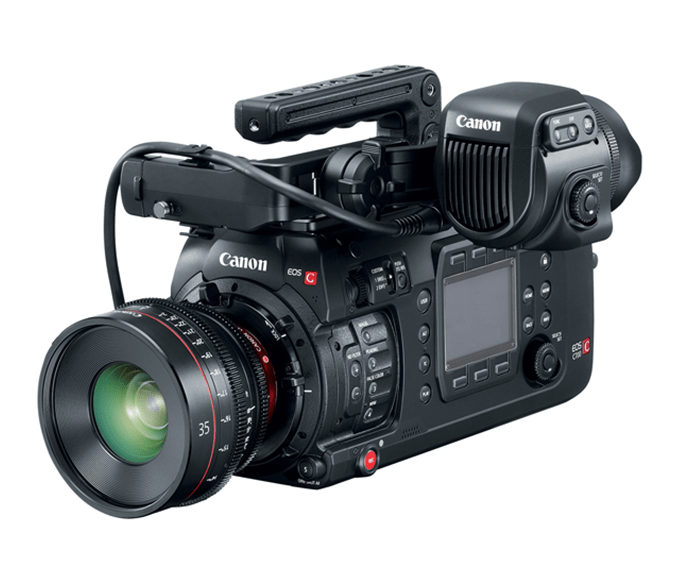 As for the design, the EOS C700 is a full-size cinema camera weighting approximately 7.6 lbs and with 167 x 154 x 327mm dimensions. It is not too light nor too heavy, allowing for both traditional studio style and hand-held uses. The camera’s body comes with built-in cheese plates with numerous threaded holes of different sizes (3/8-16 and 1/4-20) on the top and bottom plates for easy attachment of accessories. And to help users achieve optimum balance, the top handle can be attached in various positions. The EOS C700 also has an optional 0.7-inch OLED Electronic Viewfinder (EVF-V70), the first professional grade viewfinder from Canon. 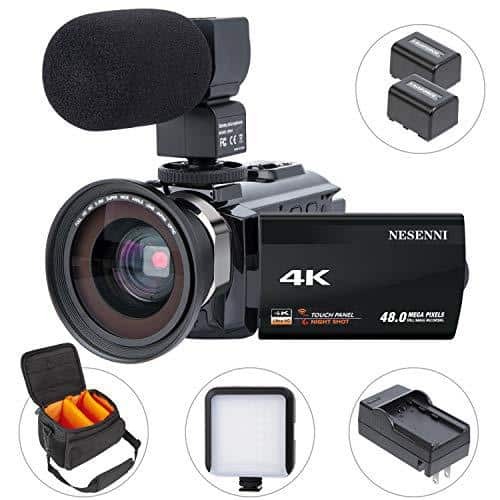 It offers HD 1920×1080 viewing, surround view, view assist, and false color support, and is capable of displaying an HDR simulated picture with a “stretched” dynamic range, allowing you to increase the shadow detail and highlight retention. Power-wise, the EOS C700 has an upgraded power management system to facilitate third-party accessories, and comes with with a V-mount plate to cater to common professional battery system. It is also designed with industry-standard 4-pin XLR Style power connector for external power supplies of +10 – 34 VDC. 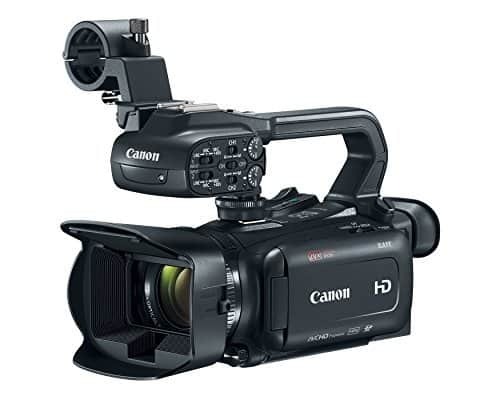 When it comes internal frame rates, the Canon EOS C700’s recording ability is also worth noting. 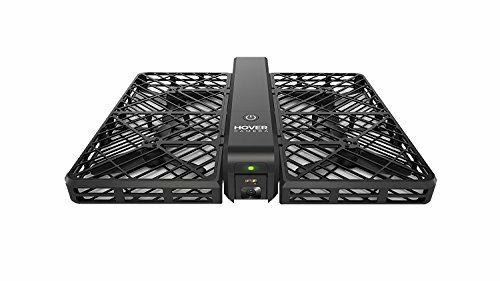 It can record 4K internally to the CFast 2.0 cards at up to 60fps in XF-AVC format; Apple 4K ProRes up to 30fps; and up to 180 fps using the 10-bit 4:2:2 combined with the 2K center crop. 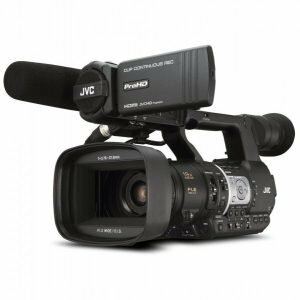 In addition, it is capable of recording a 4:2:0 proxy onto an SD card in XF-AVC in 2K in 1080p, which is very useful if for rush shooting. The cinema camera offers two lens mount choices: the PL and Cinema Lock EF. The latter is the same as the rubberized version in EOS C300 Mark II. An optional accessory Shoulder Support Unit SU-15 with comfortable shoulder pad is also available. It comes with industry-standard rosettes on each side and a few 15mm rods in front. The menu system is designed with intuitive six button layout for quick access to frequently used camera functions and deeper menu options. Speaking of which, the Canon EOS C700 racked several positive points. 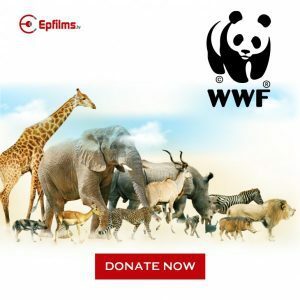 Users appreciate that it has more megapixels for clearer and sharper images; is shorter and thinner for easy handling; offers slow motion video recording for cinematic effect and capturing fast actions; and comes with 802.11n WiFi connection with faster transfer rates and improved security compared to its predecessors. Of course, all these features come with a high price tag. 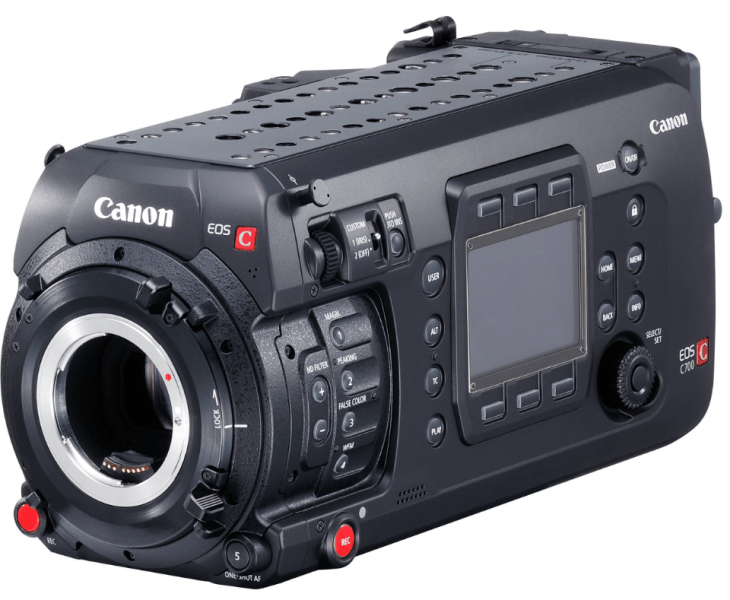 The Canon EOS C700 GS PL has a starting price of $38,000. Currently at some dealers though, it only now sell at $30,000, and $28,000 for the EF and PL models. 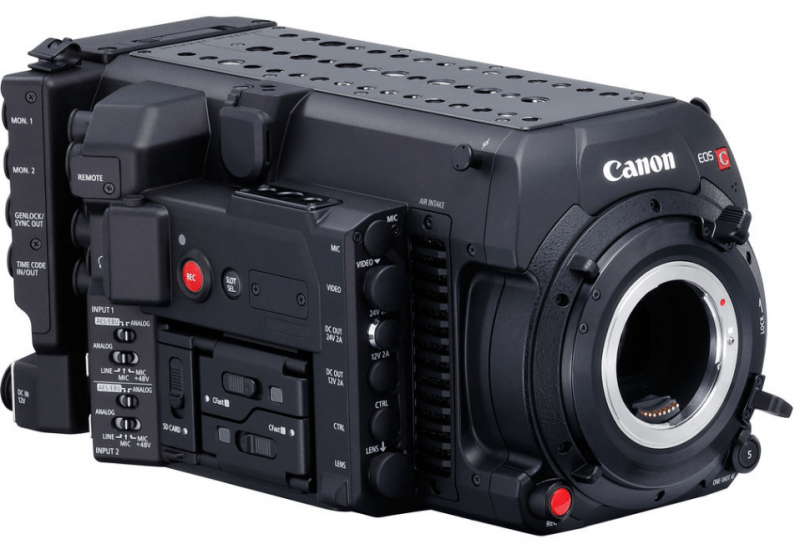 The Canon EOS C700 is not your ordinary cinema camera. It sends Canon’s message that it is taking the competition seriously.